After 37 years on General Hospital Tony Geary gets a whole 10 minutes in his final episode. Are you kidding me? This man was part of the duo that saved General Hospital from extinction back in 1978. Luke and Laura's 1981 wedding is still the most watched television of all time! He's received eight Emmy's! Yet the writers couldn't give him the send off that he's earned? I started watching General Hospital back in the Luke and Laura hey day of the late 70's, and yes I had a front row seat on the living room floor right in front of the television for their wedding. I watched all the way through to the late 90's. After that I watched a couple of times when Genie Francis (Laura) came back and Luke and Laura reunited. 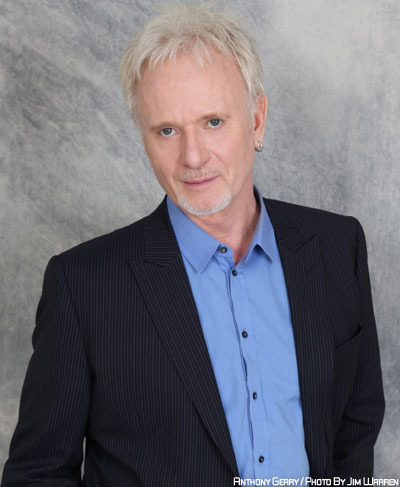 So naturally I started watching last month when I learned that Tony Geary (Luke) would be leaving the soap for good. I fully expected to be crying like a baby during his final episode. Instead I was left with a slack jaw thinking how could that be it. Over the past couple of months the soap brought back a lot of past cast members to do final scenes with Geary, including Genie Frances, Jonathan Jackson (Lucky) and Emma Samms (Holly). But the storyline was rushed and very contrived. A fact that Geary talked about in a current interview. "I loved that they brought back Emma Samms [Holly], Genie Francis [Laura], Jonathan Jackson [Lucky] and Nathan Parsons [Ethan] so I could work with them one last time, but I did not like the conceit that brought us all together," he said. "It was ill-conceived, cheesy and showed a lack of imagination. We saw Luke shoot Frank in the back over 20 years ago. And by the way, that character was old then. He would have been in his hundreds by now." It truly was the stupidest plot-line since young Robin met an alien back in the 80's. Geary's final episode dedicated maybe a total of ten minutes of screen-time to their most popular, longest lasting actor. Ten minutes. I know that in order to stay alive soaps need to compete with the faster pace of the current younger market, but as an editor I can say that the way they chop General Hospital up is horrendous. There's not a single show on television that edits as badly as they do. But that's still no excuse for not giving the character of Luke Spencer the send-off he truly deserved. As for the writing, well after Geary made these comments below we found out that head writer Ron Carlivati has been fired. Coincidence? Geary also talked about how he wouldn't miss newer writers and producers coming into the fold and trying to tell him how to portray his role--something he grew to detest over the years. "Acting is an interpretative art and that's really forgotten on our show, where the actors are expected to be slavishly devoted to the stage directions in the script. I get scripts where I'm literally told where to take a deep breath and what line to cry on and when to turn my body. Sometimes the writer's stage directions are longer than the scenes themselves," he said. "...There's a mistrust of actors on out show, as if we're going to misunderstand the material. To be told to weep on a certain line is absurd. I don't know when the hell I'm going to weep, if I weep at all, until I'm actually playing the scene. You don't plan that s--t out!" "In all modesty, Jane Elliot [Tracy] and I have 90 years of professional acting experience between us and for us to be handed a scene where we are told how to read every line is insulting," he continued. "Now, she and I will just laugh it off and get on with the damn scene, but I feel bad for the younger ones because it can thwart any creative moments they might have. Any real moments. We should be spontaneous and thinking on our feet, not acting by rote." "I would have hated to miss my final scenes with Jonathan Jackson. I don’t mind telling you that, for our last episodes together, Jonathan and I sat in my dressing room for two nights in a row, well into the night, and we deconstructed the scenes we’d been given, and it was an incredibly creative, collaborative experience. Without changing the writer’s intention, we tried to bring to the fore what the audience knows about Luke and Lucky’s relationship, because it just wasn’t on the page. I feel our work it resulted in some of the best moments Jonathan and I have shared on screen. And that’s saying a lot, because we’ve had many. The boy is extraordinary and a true artist. He lives like an artist. He can’t get enough of this world. He is so curious and alive. A real Renaissance man and I so admire him. For that selfish reason, I am glad we ended the way we did." 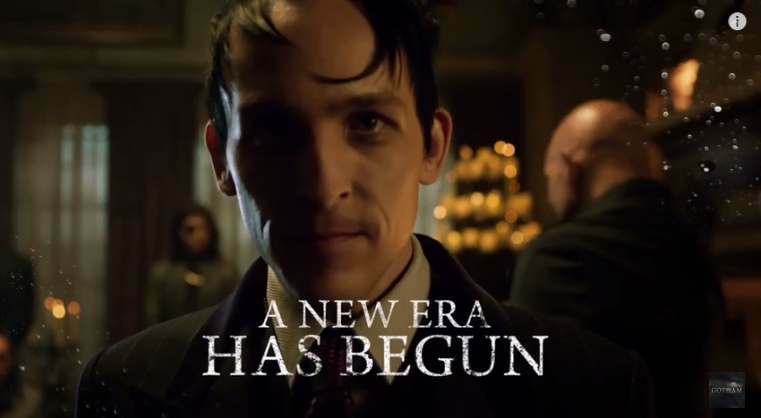 Gotham season 2 premieres September 21st on FOX. SPOILERS! Scroll down to the videos if you don't want to be spoiled. 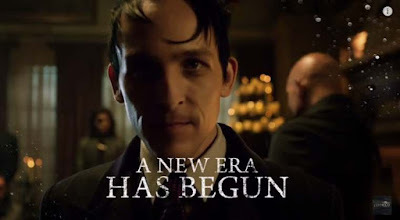 According to Robin Lord Taylor there's tension between Oswald and Gordon this season. Oswald knows he still needs a friend in the force but can't forget how Gordon was going to leave him to die. The Goldbergs star Natalie Alyn Lind was cast to play orphan Silver St. Cloud. In the comics adult Silver becomes a love interest to a grownup Bruce Wayne. Michael Chiklis is joining the cast to play Captain Nathaniel Barnes. He's an original character who will be a mentor of sorts for Gordon. More villains. Producer John Stephens confirmed Mr. Freeze, Mad Hatter and Clayface will appear in season 2. Also, from the preview it looks like we're going to see the Joker. I watched the new Doctor Who season 9 trailer (below) and wow, this looks very different than season 8. What I'm seeing so far I like. I'll be honest, season 8 was disappointing to me. The episodes were fine, but nothing stood out, and the real test of how much I liked the episodes is how many times I watch them. I only watched season 8 once. 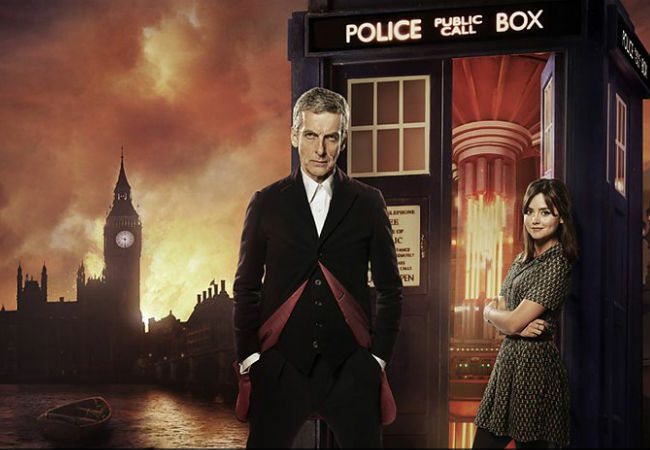 There are several episodes in every other season of Doctor Who that I've watched more than three times. Some are approaching ten times. Yet, I can't even remember half of what happened in all the season eight episodes and haven't felt like going back and watching again. Season 9 looks like it has the potential to have some re-watching episodes in my future once again. At the San Diego Comic Con, Jenna Coleman said that the overall tone of the show this season is darker with really thought provoking episodes, which you can see from the trailer. She also talked about what is coming up for Clara after losing Danny. "Yeah, I think since she's lost Danny, she's kind of cut ties a little bit to Earth, her perspective has changed. And all she wants to do is travel and have fun and meet some aliens and enjoy everything time and space has to offer." She also said that Clara now has an "adrenaline-seeking high" which leads to "some danger along the way." "But it's definitely the glory days of Clara and The Doctor." 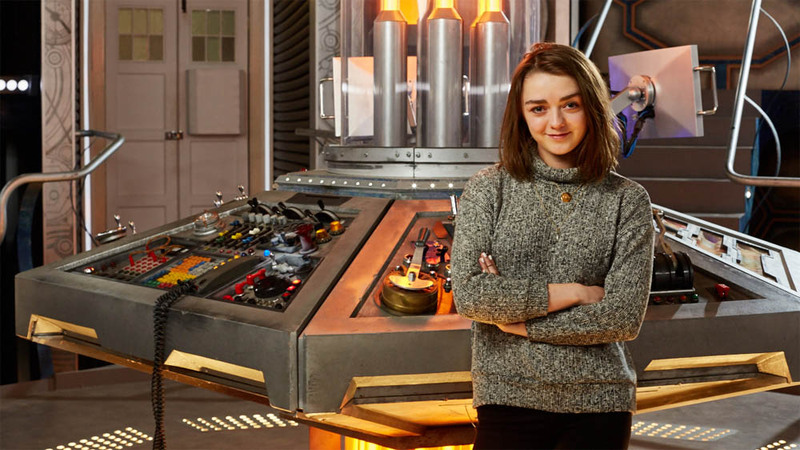 Another great reveal, especially for Game of Thrones fans, it looks like Maisie Williams will be guest starring this season. After that little snip-it in the trailer, I'm very curious as to who her character is. 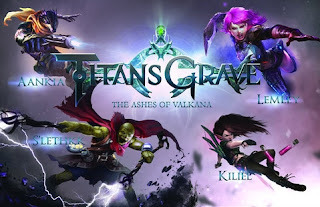 Hey all you RPG / Dungeons & Dragons fans or anyone interested in what it's like to play those kinds of games, I've been watching Wil Wheaton's new RPG game TITANSGRAVE and it's pretty cool. 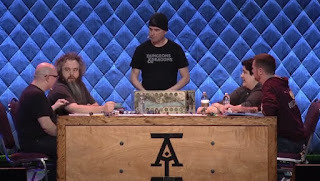 As some of you may know I love watching Acquisitions Incorporated D&D game every year with game master Chris Perkins who works at Dungeons & Dragons. So watching an RPG game is nothing new to me. 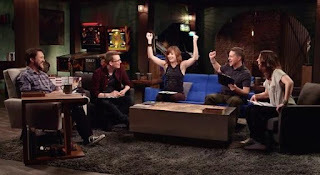 I also love Wil Wheaton's show TableTop on Geek & Sundry. This year Wheaton decided to take the extra crowd funding money (they needed $500,000 for season 3 of TableTop and got a little over a million) and do a brand new RPG game entirely written by Wheaton and his son. Watching an RPG game may seem strange to some, and I felt the same way until I sat down and watched one. Granted, it depends on the players and the quality of the filming of it. I find it hard to watch the online games where everyone is in a different webcam square from their home, or the ones where there is only one or two cameras. It's hard to feel a part of the game for me in those circumstances. 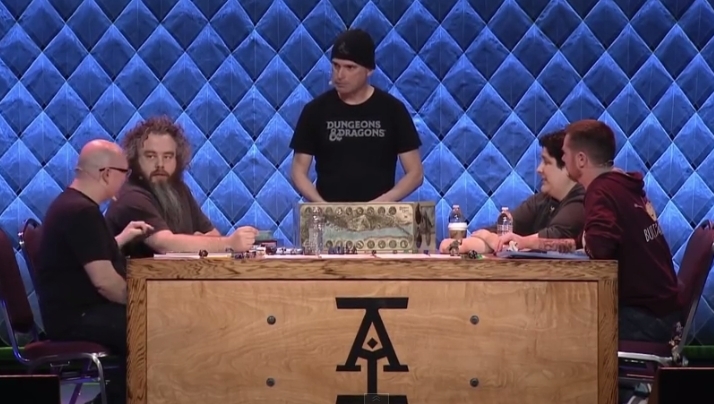 Both TITANSGRAVE and Acquisitions Incorporated have good production values. If you enjoy playing RPG's you may find that you like sitting back and watching. If you've never played any RPG games (table top not video) but like storytelling, give it a try! It might inspire you to start up or join a game yourself. I've watched the first two chapters of TITANSGRAVE and really like it. It's a cool world and they've made some interesting characters. It's also funny. When the main thing the characters are worried about is saving the beer you know there's lots of chuckling going on. For those of you who love battles don't worry, these characters had a great fight saving the beer in chapter one and wound up going up against some scary creatures in chapter two. I can imagine what else is in store for them as they travel the world of Valkana. There are a total of six chapters, all of which are out right now. EDIT 8/18/15: There are actually 10 chapters and it was also announced that there will be a season two. Starting with episode five may seem strange to some of you, but honestly you'll pick up on the back story fast enough. If you're like me and try and start from the beginning you probably won't last past episode two. I only gave the show a try because I've always liked Matt Dillon. Unfortunately, I found it more boring than intriguing and suspenseful. Then last week I was searching Hulu for something to watch. They had episode five up and it looked like the big reveal was coming. So, I gave it one more try. Episode five should have been episode two. It's that reveal that is actually the whole point of the show and it's at that point that Wayward Pines becomes a bit interesting. Now that I'm giving it a shot I find out that if renewed for a second season it may have a completely different look. 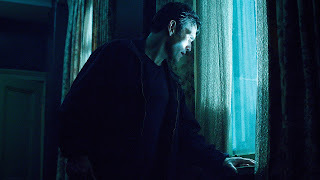 What most people don't know is Wayward Pines was done in 2013, only to sit and wait for two years to air. All the actors contracts expired long ago. Either they get them all to sign back up or make a whole new set of characters for the second season. Rumor has it that Fox is leaning towards the latter.